Holistic Care Approach is proud to announce their partnership with Breton Village Pediatrics and Family Medicine! Dr. Peter MacField earned his Medical degree in Bangladesh at Chittagong Medical College before moving to Grand Rapids in 2001 to do his residency in General Surgery and Family Practice. He currently works at Breton Village Pediatrics and Family Medicine as a Primary Care Provider. Dr. MacField also works as a Medical Consultant for Mary Free Bed. Dr. MacField believes in providing both traditional and alternative medicine to his patients. 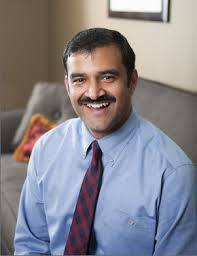 He specializes in Alternative / Complementary medicine, Hormone Replacement Therapy (also known as Pellet Therapy) , Osteoporosis management, Chronic Pain management, Functional Medicine, and Geriatric Medicine. Dr. MacField’s specialized hormone therapy is designed to replicate your bodies natural hormones exactly, making them bio-equivalent. This means that your body can not distinguish the difference between those hormones and your own natural hormones, lessening the probability of side effects and maximizing results. IV Therapy is a method of delivering vitamins, minerals, and other vital nutrients to the body directly into the bloodstream. IV Nutritional Therapy floods the cells with nutrients and can increase and optimize cellular health. When there is sickness or disease in the body, the area becomes inflamed and produces heat. Thermography cameras are capable of picking up these small fluctuations in heat AND because all disease begins with inflammation, this is very important: Prevention is early detection! Thermography is a non-invasive way to detect breast cancer, and is a safe, effective alternative to a mammogram. Contact us by email or phone 616-361-9221 with any questions, or to schedule an appointment!